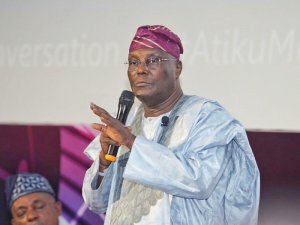 A member of the legal team of All Progressives Congress (APC) that packaged the party’s response to the election petition filed by the presidential candidate of Peoples Democratic Party (PDP), Alhaji Atiku Abubakar, has said citizenship is a trump card held by the ruling party against the former vice president. He claimed the fact that Atiku is not a Nigerian citizen by birth, and, thus, unqualified to contest the February 23 presidential election was a valuable constitutional resource that could give them advantage in the electoral litigation. But Atiku, in a statement released yesterday by his media office, debunked the claims of the APC regarding his eligibility, saying the ruling party is attempting an unconstitutional redefinition of the term “Nigerian”. That was as the Independent National Electoral Commission (INEC) defended its declaration of President Muhammadu Buhari as winner of the poll, in its own response to the main opposition candidate’s petition. INEC also said Buhari had the requisite educational qualification to contest the election. The APC, in its response submitted to the Presidential Election Petition Tribunal last Friday, had stated that since the former vice president “is a Cameroonian and not a Nigerian citizen by birth,” his petition against Buhari should be dismissed because he was not qualified to contest the election. He continued: “Recall that in 1961, a plebiscite organised by the United Nations was held in the British controlled part of Cameroon (British Northern and British Southern Cameroons). The referendum was to choose between joining a self-governing Nigeria or re-unification with sovereign Cameroun. On February 12, 1961, the results of the plebiscite were released and British Northern Cameroons joined Nigeria, while the southern part voted for reunion with the Republic of Cameroon. “Our dear Atiku Abubakar was born on November 25, 1946 in Jada, situated in the then British Northern Cameroon. He was born a Cameroonian. Atiku is a Cameroonian citizen by birth and became a Nigerian by referendum. He is not a Nigerian by birth. We have to get that right. The 11.1m votes recorded in favour of Atiku is a waste, and should be voided by the tribunal. “The constitution of Nigeria is very clear on the requirements for vying for the office of the President. The candidate must be a citizen of Nigeria by birth. Citizenship by referendum is not recognised by our constitution for the purpose of elections. “It is like this in the United States, too. You must be born on American soil to contest for the office of the President. So, you can see that it is not a Nigerian thing. But the Constitution also forbids any form of discrimination, on the basis of race, religion and ethnicity. Besides the issue of nationality, the APC asserted that most of the claims contained in Atiku’s petition had become statute barred and that the tribunal was not the appropriate forum to entertain them. Furthermore, APC said the issue of educational qualification of the president-elect, raised by Atiku, “cannot be treated by the tribunal” because the period for claims and objections on such issues had expired and that the petitioners failed and neglected to use the period to challenge the validity of the educational qualification of Buhari as contained in the form CF001 submitted to INEC. According to the party, since the petitioners have waved their rights to challenge the propriety of information contained in the form CF001, their petition no longer disclose any reasonable cause of action. APC also faulted the allegation of non-compliance with relevant laws made by Atiku and PDP, adding that their failure to make specific references to the compliance issue had fatal effect on the petition and, therefore, the petition has no enough material to justify the grounds of any relief sought. Atiku and the PDP had on March 19 filed the petition against the declaration of Buhari as winner of the February 23 poll. Their petition, which was anchored on five grounds, prayed the tribunal to annul Buhari’s victory on grounds that the election was characterised by widespread rigging, violence and substantial non-compliance with electoral laws. They also urged the tribunal to disqualify Buhari over alleged non-possession of requisite academic qualification for the office of president. Atiku claimed to have scored the majority of lawful votes and prayed the tribunal to declare him the winner of the election. In the alternative, the PDP presidential candidate prayed for an order cancelling the election and directing INEC to conduct a fresh one, which will conform to relevant laws. But APC argued that Atiku’s failure to join the Nigerian Army, Nigeria Police and other security agencies, who performed the alleged harassment and intimidation, as defendants in the petition to establish his claim, was fatal to the petition and that the claims should be struck out. The party prayed the tribunal to uphold the victory of its candidate, President Buhari, who polled 15,191,847 votes to emerge winner and his subsequent declaration as president-elect by INEC, while also urging that the petition against the victory should be dismissed for having no cause of action. Atiku, in a formal reaction to the APC allegations, titled, “On The All Progressives Congress’ Ridiculous Claims at the Election Petition Tribunal,” said the ruling party was attempting an unconstitutional redefinition of the term “Nigerian”. The former vice president, in the statement signed by his media adviser, Paul Ibe, said, “The fact that the APC chose to base its defence on the ridiculous assertion that the Waziri Adamawa is not a Nigerian should show to Nigerians the type of characters we have in the APC and its government, whose legitimacy runs out on May 29, 2019. “The position of the APC is so pedestrian and shows such straw clutching desperation on their part that I shall not dignify it with an answer. Our lawyers would, of course, do the needful in court. But the point I want to draw the attention of Nigerians to is that both the APC and its candidate have by this infantile logic admitted to the fact that they trampled on the will of Nigerians and that their only defence is to attempt an unconstitutional redefinition of the term ‘Nigerian’. “Atiku Abubakar has served our nation diligently in various capacities, from the civil service, where he rose through merit to the top of his chosen field, to public service, where, by the grace of God, he was the Vice President of the Federal Republic of Nigeria. Moreover, he has committed his assets and talents to developing our nation through the provision of tens of thousands of direct jobs and hundreds of thousands of indirect jobs. INEC mounted a staunch defence of Buhari’s victory at the February 23, 2019 presidential election. In its response to the petition filed by Atiku before the Presidential Election Tribunal, INEC also defended the educational qualification of Buhari. The commission urged the tribunal to dismiss the PDP candidate’s petition for being incompetent and to uphold the declaration of the candidate of APC, Buhari, as the winner. INEC filed a notice of preliminary objection supported with 11 grounds upon which it asked the tribunal to strike out Atiku’s petition. It said Atiku’s petition was incompetent because it did not contain the actual election results declared by it. It also argued that it was wrong for Atiku to claim that he won the election while at the same time asking the tribunal to nullify same because Buhari was not validly elected. The commission argued that no one could be declared winner of an invalid election. The electoral body stated that card reader machines were merely used for authentication during the election. It said some of the grounds relied upon by Atiku were pre-election matters, which should not be brought before the presidential tribunal for adjudication. The commission’s response was filed by Yunus Ustaz Usman, SAN, leading a team of other senior lawyers. Contrary to claims by Atiku that votes were collated electronically, INEC said the collation was done manually. INEC also denied disfranchising voters during the presidential election. 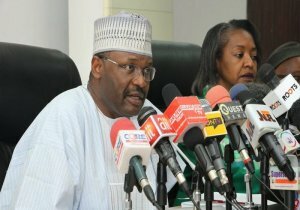 The commission said it also did not order supplementary election in 14 states with respect to the presidential election. Atiku had claimed that INEC disfranchised 2, 698, 773 voters and cancelled 2,906,384 votes. The commission said the election was peaceful throughout the country. INEC said Boko Haram did not stop people from coming out to vote for candidates of their choice in Yobe and Borno states.